With WordPress you can easily upload an audio file and with Post Formats, display it like this! In options you can easily adjust the colors of the (featured) post to make it stand out. Each post has one simple checkbox to click if you want to feature the post, easy. Adding a Youtube video: copy URL, paste in the Visual Editor. 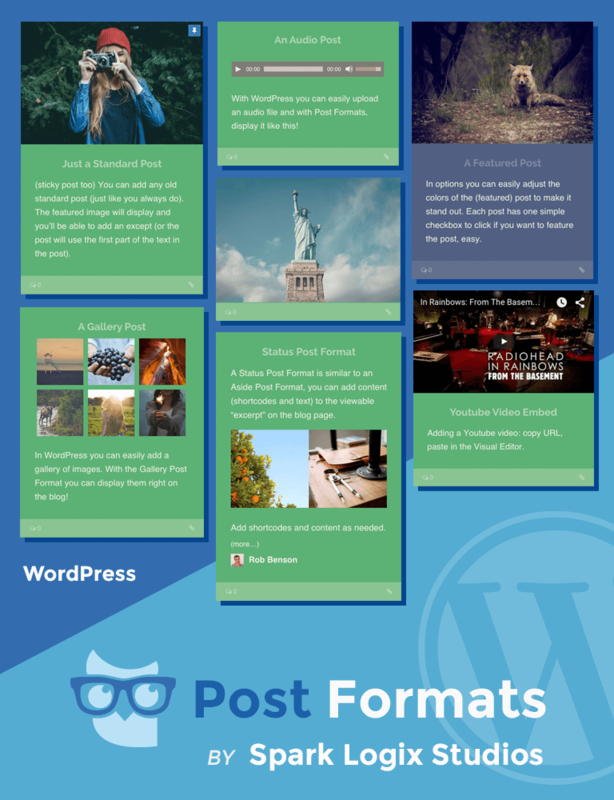 In WordPress you can easily add a gallery of images. With the Gallery Post Format you can display them right on the blog! A Status Post Format is similar to an Aside Post Format, you can add content (shortcodes and text) to the viewable “excerpt” on the blog page. Add shortcodes and content as needed. There are two featured post options available! This gives you 3 options when posting new content.